This sheet features a soft polyester mesh outer with up to 70% UV block, traditional shoulder gusset for freedom of movement, belly band for extra protection, twin surcingle front closure, tail flap, and tail cord to provide a comfortable fit. Great purchase. Extremely well made and adorable. Stays put and durable for my horse who loves to roll. It's nice that it has gussets and velcro and buckles it's stays on really well it did run a little small. 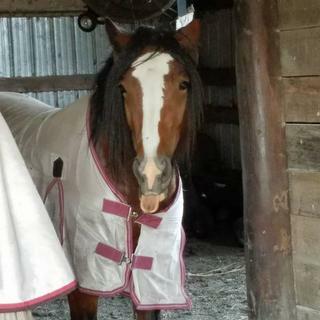 Saxon fly sheets fit the best of any I have tried on my Quarter horse. They are very well-made and stand up well to wear and tear. I would definitely recommend this product. I got two sizes larger than my gelding wears in a winter blanket. It was just barely big enough to go around him, and no extra length. Don't forget to tie the sides at the tail--Buckshot figured out a way to move the whole thing forward to give him more shoulder room. Had several years and holds up well to weather. Shifts sometimes after rolling but not too bad. Belly band is a plus. These fly sheets are fantastic! These are great. Keep flies off and protect from the sun. big wide belly “strap” helps keeps flies from chewing in the shaded area the belly provides. You can also clean them with a power washer having in your wash rack. Unlike the old style fly sheets, these are soft and breathable.We love them have have them on all of our outside horses in training. fits and keeps flies off well. Everyone LOVES the Bee design. I love the fit. I purchased 3. Easy to put on. Light weight, and my horses look good wearing the fly sheets. Also, I can throw them in the wash, (no rips). Great price. The price reflects the features. OK sheet for the price.but the straps are not adjustable and a tail strap that not just a piece of fat rope would be better. I really like this fly sheet and think it’s a great value for its price. The only thing I don’t like about it is that it does not have leg straps. I’m getting used to the tail cord but prefer leg straps. I also wish it had rings on the neck so I could attach a fly sheet and that that I already have to it. For the great price the value is terrific though. So does my horse!!! I washed it once since her wearing it and it cleaned up beautiful. Soft and white again. She loves it too. Stands still for me to put it on her. Fought me when I was taking it off for a second wash. Sheet holds up pretty good but the mesh always comes unraveled where it is damaged. This sheet holds up good but I think a heavier one is better if you want to reuse it another year. I do really like it. Worst fly sheet I've ever bought. The neck is so small and does not have adjustable buckles. It won't fit any of my horses due to this and so it's completely unusable. So far I really like this fly sheet it fits well and seems cool and airy. The only thing that I didn't care for was the tail strap that comes with it is a rope that you tie. I would have preferred leg straps or a solid single tail strap. The rope just doesn't seem functional. 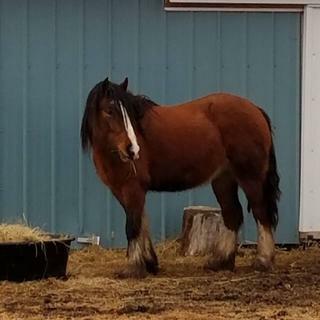 First sheet we've bought, but barn owner saw it and ordered one herself. 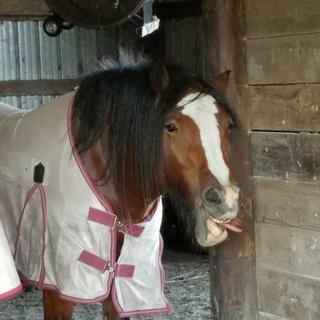 I got this fly sheet for my 2yo warmblood. He was getting hives from fly bites, so I reluctantly bought him a fly sheet. I was certain he would destroy it in 24hrs, but to my surprise a month later and its still kicking. He wears it 24/7 and hasn't developed shoulder rubs. The only thing about this sheet that I wish was different are the chest straps. It uses T buckles like on the belly strap which rubs his chest while he is grazing.Also, I got the white/rhod color which looks almost neon pink in the pictures, but in real life looks more like burgundy. The reviews were good, like the print and thought I'd buy this one. If it works well, will order one for the other three horses. keeps horses clean and fly free..good price too. White horse who does not like fly's and i like the cute bee pattern. It's different and cute, plus my horse is named Honey Bee. The print looks adorable and it has the belly strap! Hopefully it will be cool and comfortable for my Quarter Horse and keep the flies off him this summer! I need one and price. I have purchased this item in the past and has work wonderful for my quarter horse mare. my mare likes to roll & can't stand sprays, but this way she is protected & kept clean so that clean up to ride is quick & easy. I chose this for the price, and Saxon usually fits my horse well. This particular sheet ran small, and the fabric looked like it would not be very breathable, so I'm returning it and getting a Kensington Fly sheet instead. BEST ANSWER: Rodeo in this application is red trim on the white sheet, nice and neat, it is a dark red, sorta maroon I hope this helps. The one I bought was white. Love it! Is this material light and breathable enough for 90+ degree summer temperatures and high humidity? I'm in Florida and need the bug protection AND the UV protection for my horses!. Thank you! 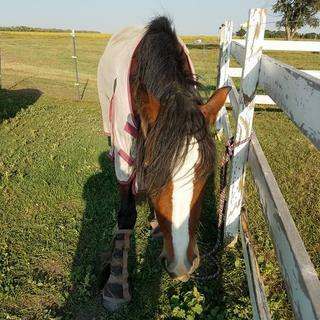 We are in Nebraska with high humidity and 90 + temps and we love it for our mare. Washes up great! She doesn't always love it on the hottest of days but is not sweating underneath! Great buy! Yes, it is very lightweight. I'm in Southern California and while we don't have as much humidity we do have the higher temperatures and my horse has been very comfortable in this sheet. Hello, Yes I believe it is, I have been using it the last few days in the high 90's and it has worked great. Does this have a belly band or belly protection? BEST ANSWER: yes, the sheet has a belly band. If you look carefully at the picture you can see it come across from the far side to attach on the side closest to you. how do you know what size for a sheet? BEST ANSWER: Measure from the center of the chest around the side back to the tail. I should of ordered longer. We have a Fjord and a Heinz 57 and both have big chests so it's tight on them I can't buckle the top buckle. Otherwise I like them and the rest of it fits good and they help with the bugs. I also have the boots and masks. How to put on tail cord? BEST ANSWER: Depending on the length of the cord, you can either run it up thru the small tab and across the tail cover and down thru the other tab and tie a knot at both ends or tie it across the tail cover?? I don't have the sheet with me at the moment and I am doing this from memory? I hope this helps. Does it have the leg straps? If not can I buy leg straps aka attach them to the sheet? Item does not have leg straps, when looking over all items please see product summary listed below picture.